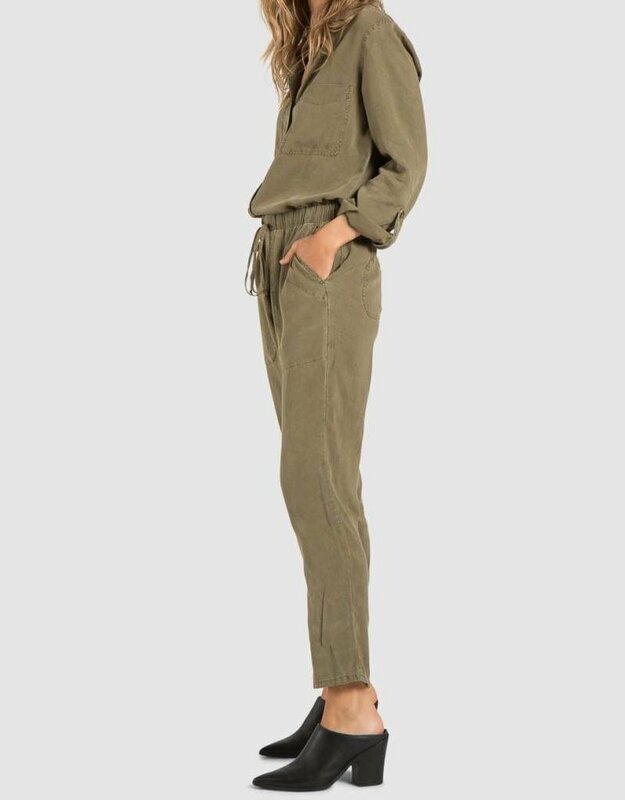 The Utility Jumpsuit is a cozy feel one-piece with dimensional details. 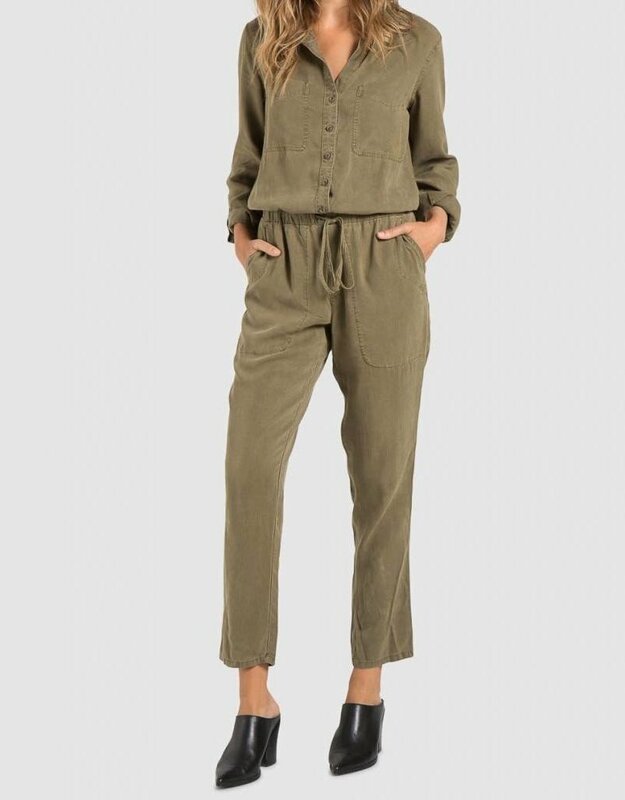 Featuring two front pockets, a drawstring waist and roll tab sleeves. For brisk days, pair with booties.